The 19 pins configuration (layout 419AR) is the worldwide standard for your stage lighting and offers a high strength to weight ratio. 19 pin panel mount male,solder contacts. 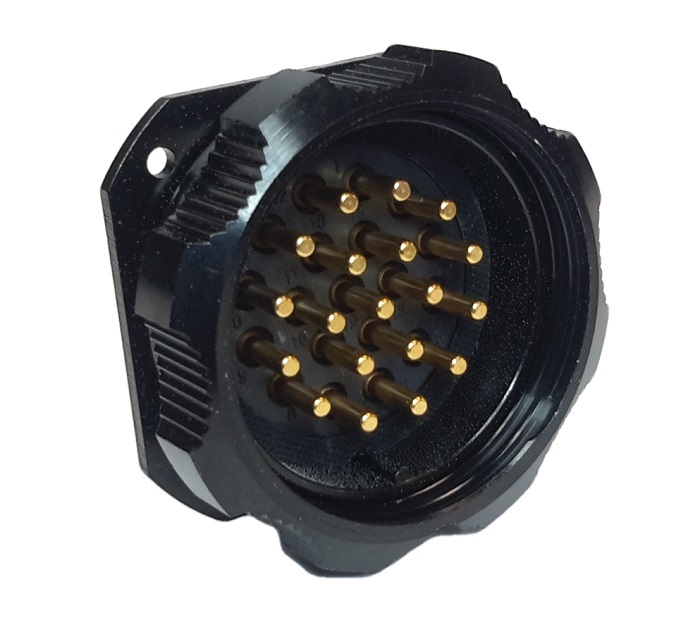 All black connector. These are not 'mate ground first' style connectors.